Legal marijuana stores opened their doors in Seattle in the summer of 2014. Emerald city stoners are now spoiled with a bumper supply of top-quality flower, extracts and edibles. It takes a cross country voyage to remember the dark days of prohibition which still reign across the American South and Midwest, where grams of schwag still cost $20, if you are lucky enough to know where to find it. Nearing five years of legalization, prices, product availability and product diversity are at an all time high (pun intended). Market shelf space dedicated to concentrates and cartridges has increased, 'pre-rolled' as a category has increased, with an exciting diversity of enhanced joints featuring hash oil dips, rolls in kief and other combinations thereof. Overall, prices are significantly lower and quality higher than at any time since the early 1990s. When Nirvana dominated the airwaves, black market top-shelf weed sold for 30-40$ per 'eighth' of an ounce or 3.5 grams. By the mid 1990s, lax Canadian drug laws led to a surplus of relatively good quality 'BC Bud' in the Seattle market. Medical collective gardens were legalized in Seattle in 1998. 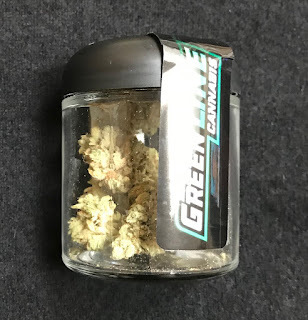 By the late 90s, this seedless product came on the scene and ultimately made low-grade, seeded 'mexi' weed un-saleable in the Seattle market by the turn of the millennium. Prior to legalization, the US marijuana market was dominated by dried flower, which was smoked rolled up in paper or in a pipe. Marijuana smokers don't smoke pot leaves - the unfertilized flower of the female plant is where the active ingredient is concentrated. This point bears repeating because it takes the uninitiated a while to understand that whippersnappers aren't rolling up leaves to smoke their reefers. The advent of medical marijuana in the 1990s and the rise of collective gardens saw the introduction of extracts like water process or screen processed hash products - bubble hash. Butane hash oil began the modern era of hash oil extractions, which continues to blossom today with an array of extracted products sold in cartridges and used in systems virtually indistinguishable from electronic cigarette systems. A whole universe of cannabis users who prefer dabs, concentrated extracts used with specialized equipment. 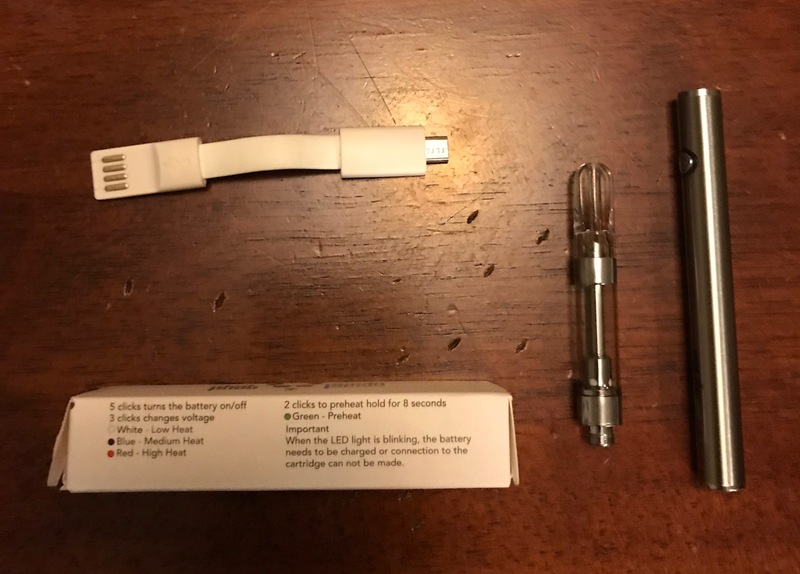 Phat Panda's Panda Pen - $15 rechargeable pen vape w/usb charger. 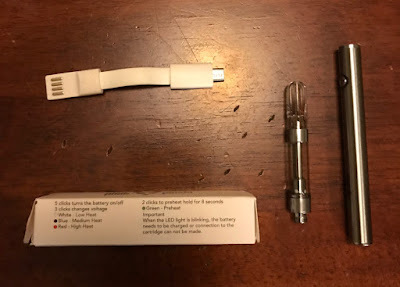 Vape pen cartridges with cannabinoid concentrations (the active ingredients) in the 70-90+ percent ranges are available for as little as $25 for a 1 gram cartridge. (re-chargeable vaporizer pens with three heat settings are widely available for $15). Indeed, many cartridges are more expensive, with 500mg (1/2 gram) cartridges selling for $36. 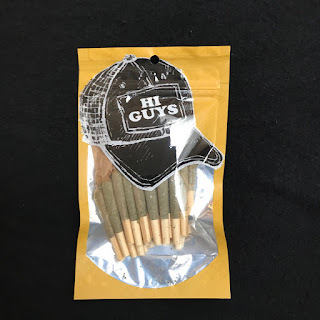 Packaging for legal marijuana products have diversified in terms of materials and design while working within legal parameters in terms of security, labeling requirements. Meeting child resistance requirements mean some products are sealed into a plastic sarcophagus designed to torment rheumatic sufferers of all stripes. Woe unto you, sufferer of Lupus or Rheumatoid Arthritis - there is no opting out of the child-proof cap, which is an option at prescription drug pharmacies. Different weed retailers cater with varying degrees of success to the consumer segments of weed store customers. Several different weed 'ghettos' have evolved where customers can go to one neighborhood and hit a large number of stores in a small area. Good examples of such areas are the SODO region and out on Aurora avenue, past 100th or so. Stay tuned for an article highlighting the retail scene as it has evolved in the Seattle market. Note: all pricing and availability information are provided for informational purposes only and are not intended as an advertisement to sell or an offer of availability. Please obey all laws and respect local ordinances. We are not affiliated with any of the products or retail outlets mentioned in this article. (C) 2019 Stoner Living, all rights reserved. Article may be shared or re-posted as long as credit is given to Stoner Living.